Dr. Jennifer T. Edwards - Texas Author, Researcher, and Social Media Trainer: Save Your Data Week! - Where Do You Keep Your Academic Portfolio? Save Your Data Week! - Where Do You Keep Your Academic Portfolio? I know that this might sounds crazy, but one night I had a weird dream about something happening to my academic portfolio which I kept at my office. So, I decided to relocate my academic portfolio to my home in a Rubbermaid container (to protect it from water, etc.). 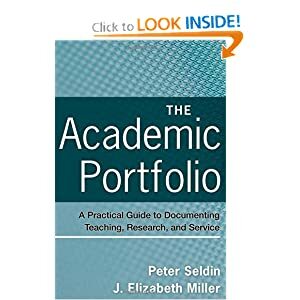 Do you scan the items in your academic portfolio? Do you keep multiple copies of your CV? Do you have the original copies of your diplomas (which you probably have hanging in your office)?